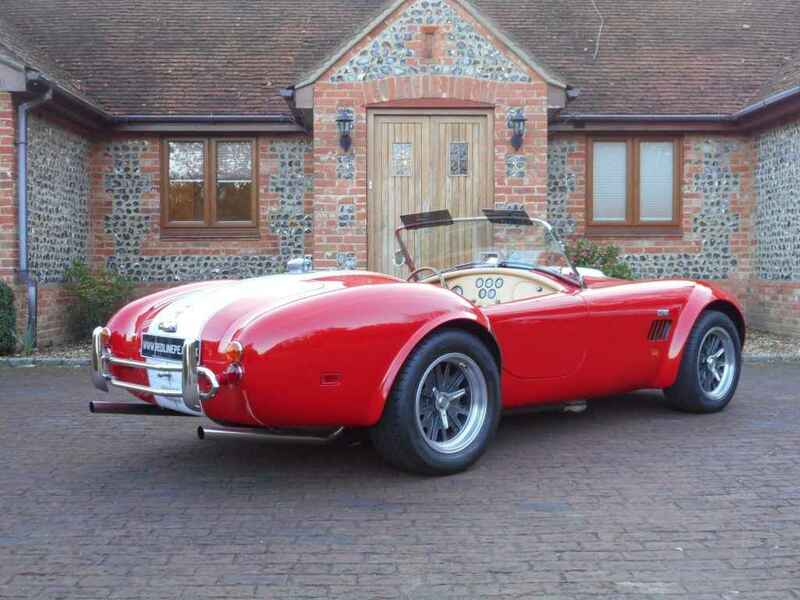 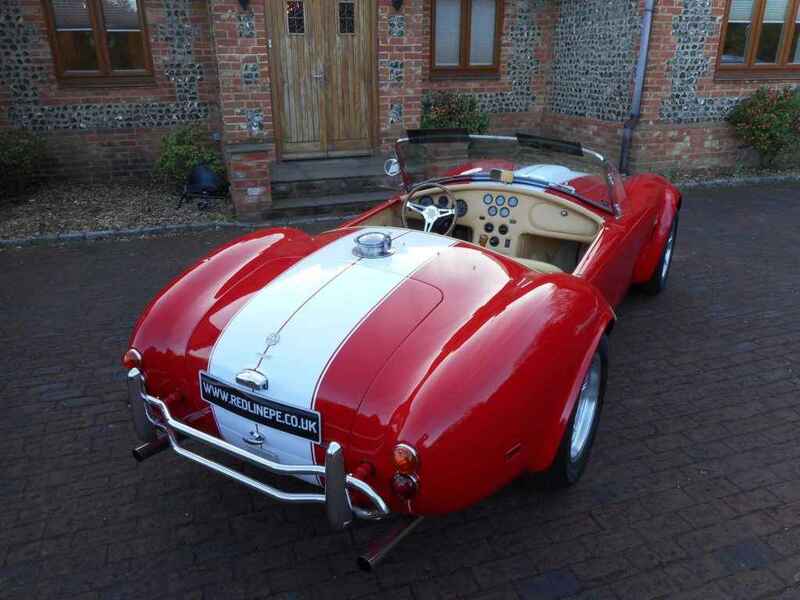 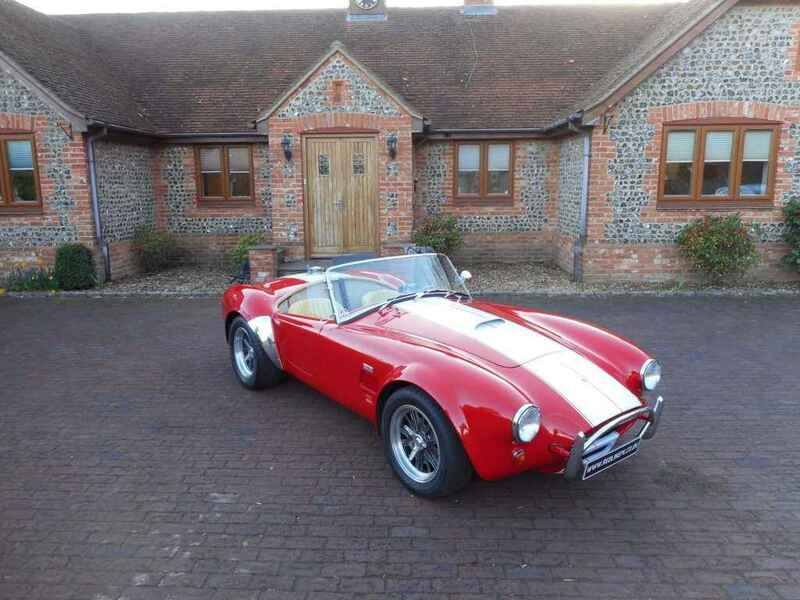 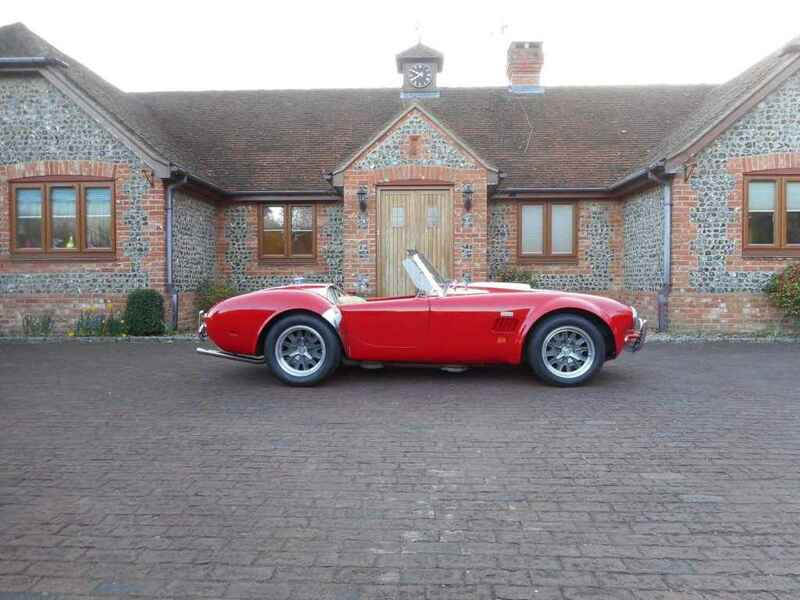 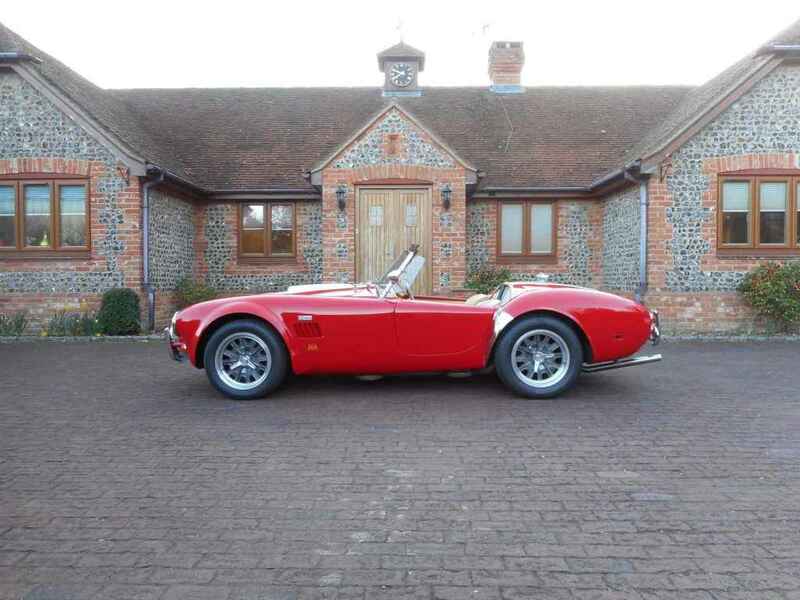 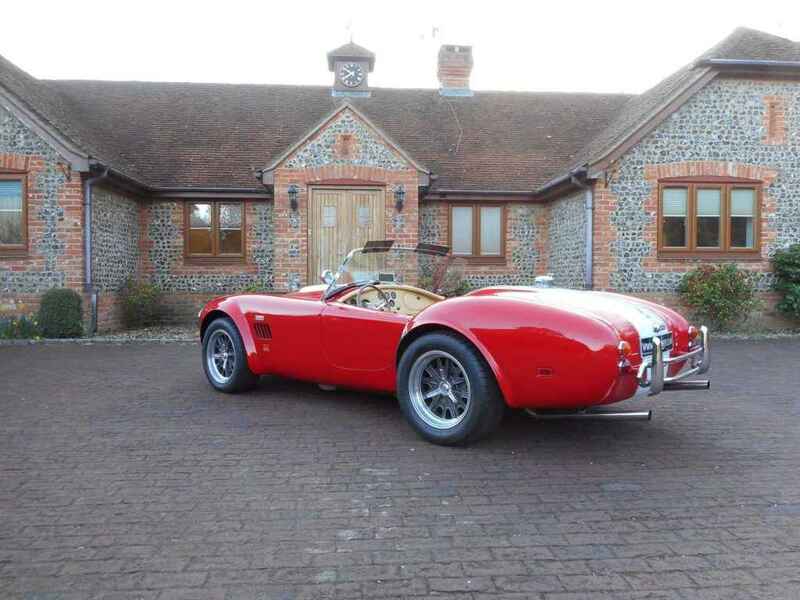 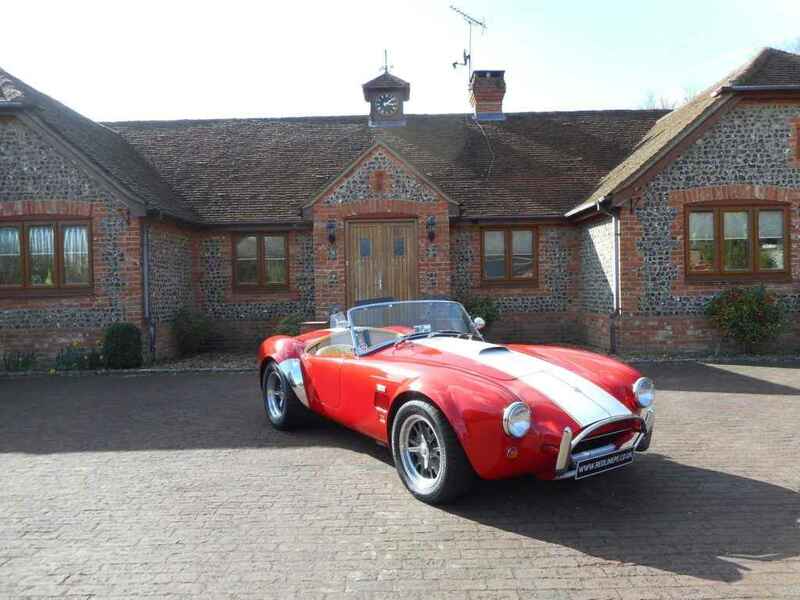 We are pleased to present this stunning hand built aluminium bodied AC Cobra Mk4. 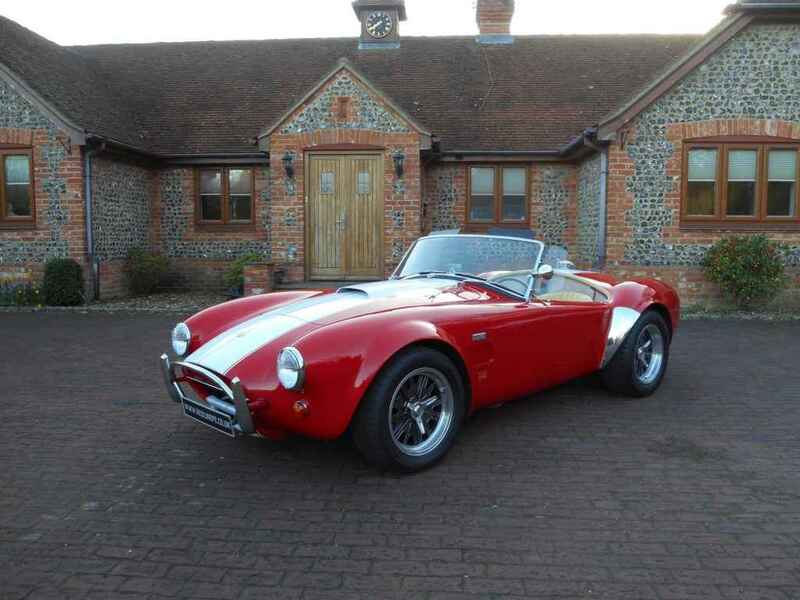 First registered February 1988 and exported to California USA, documented in Shelby American World Registry “Red/Tan interior, EFI 302, shipped to Frontier Ford” returned to the UK in 2011. 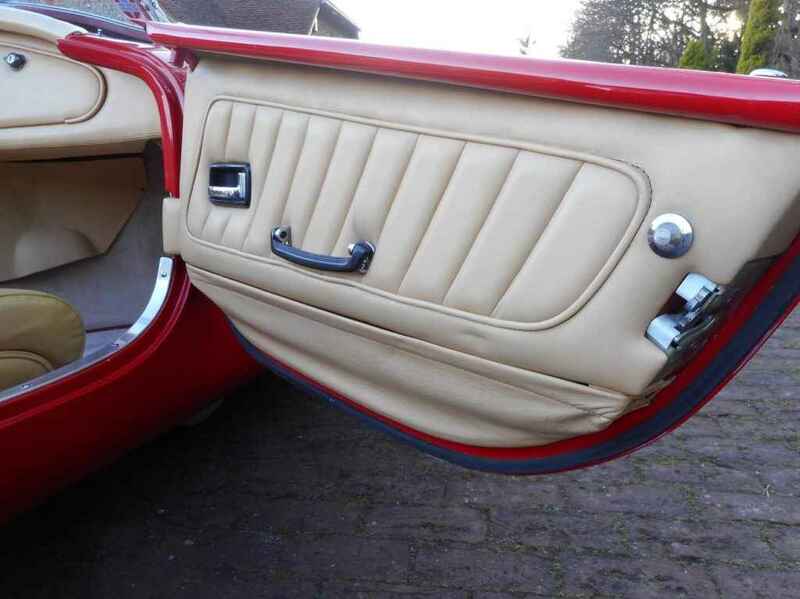 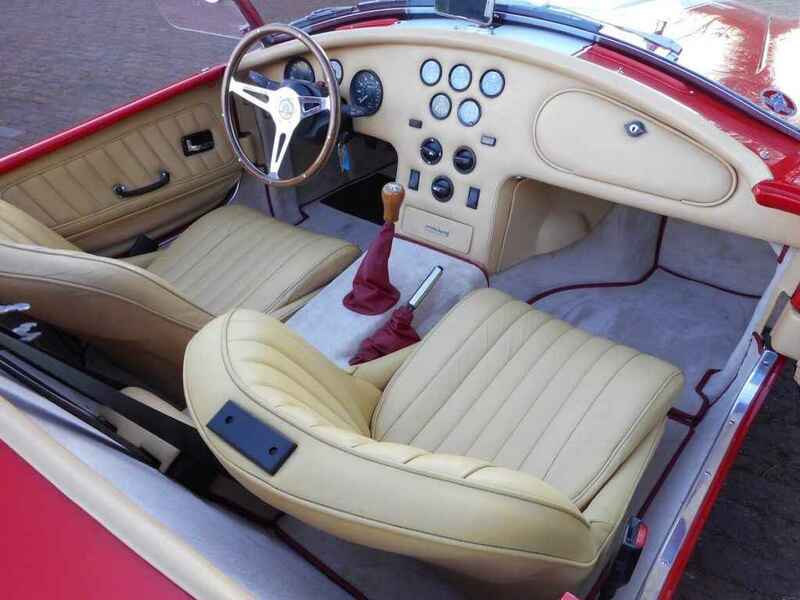 Finished in Porsche Guards Red with White centre stripe, handcrafted tan leather interior with cream carpets, Mita-Lita polished woodrim steering wheel and gear knob, all correct matching numbers. 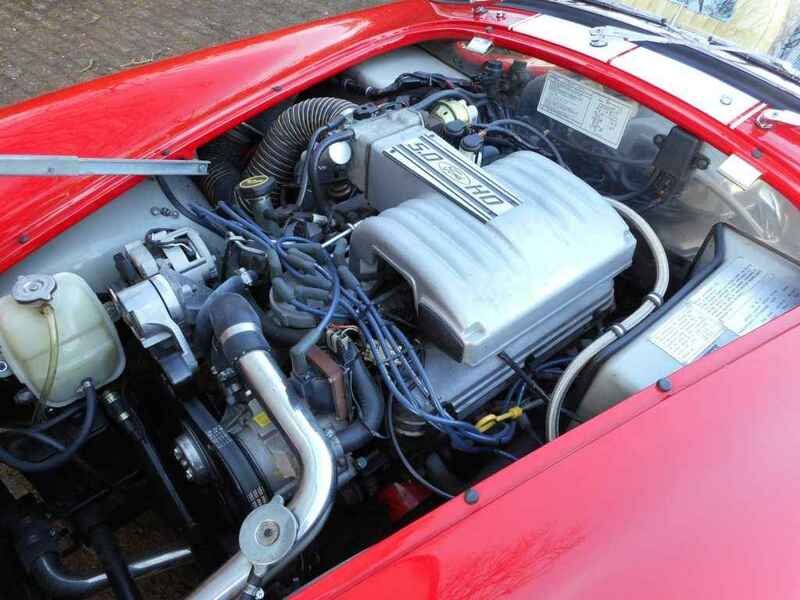 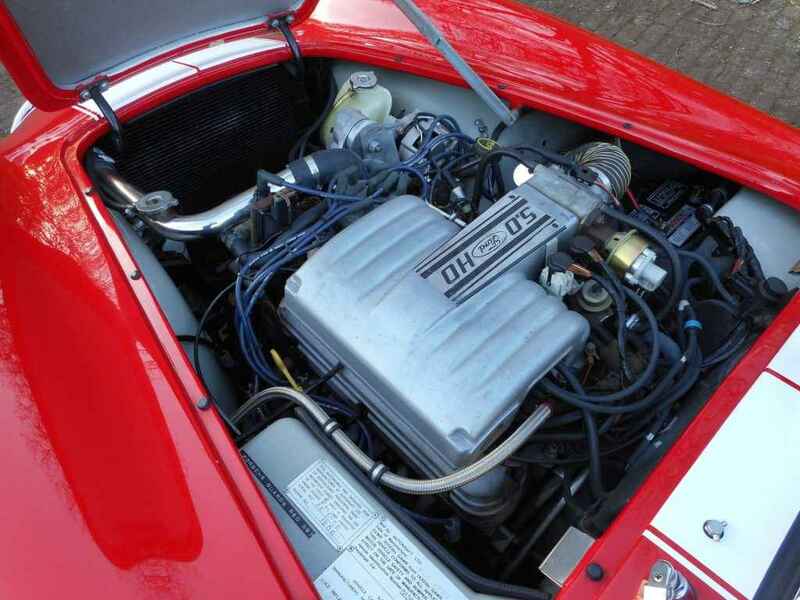 Power is delivered by normally aspirated 5.0 litre Ford 302 V8 injection engine mated to 5-speed manual gearbox, 9’750 miles from new. 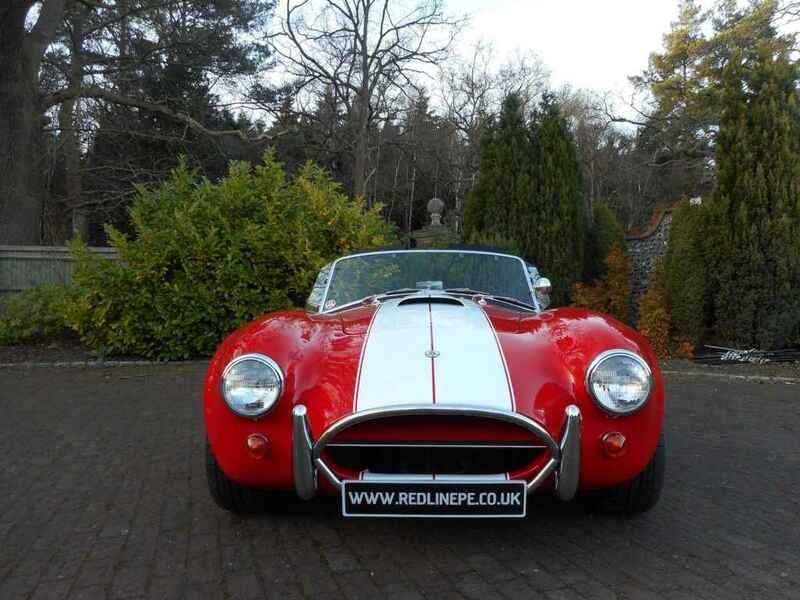 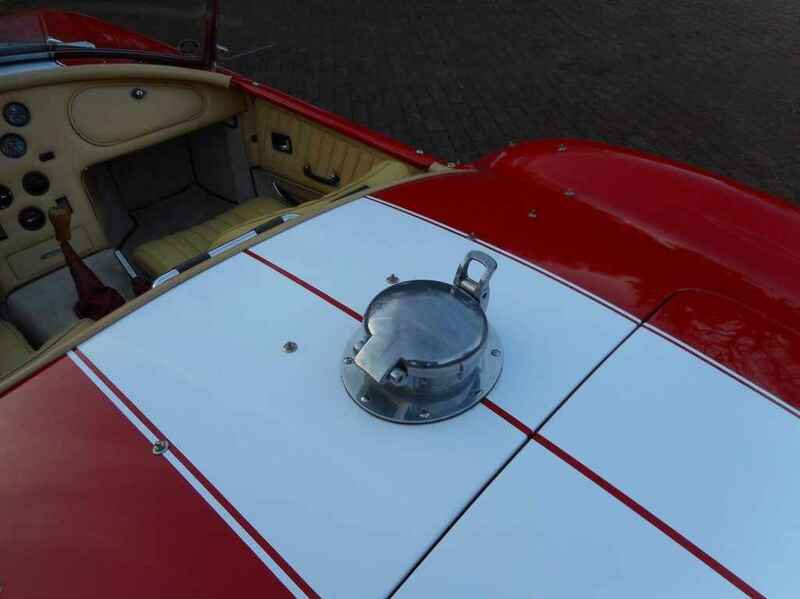 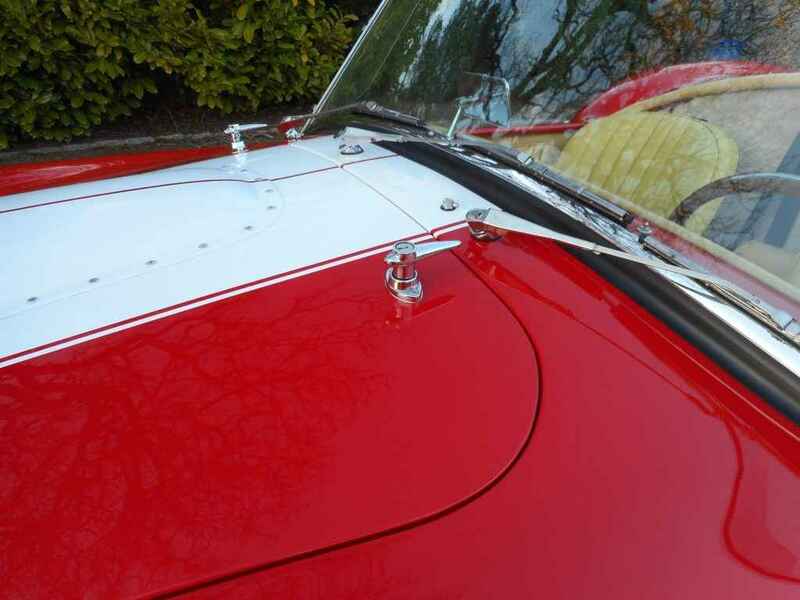 High spec including upgrades by Redline Engineering UK: unmarked 16″ Halibrand wheels with polished spinners, chrome stone guards, Monza fuel filler cap, spare wheel & tool equipment, glass wind wings, full service by ourselves Redline Engineering UK, MOT July 2017, stainless sports exhaust tail pipes, aluminium riveted bonnet scoop. 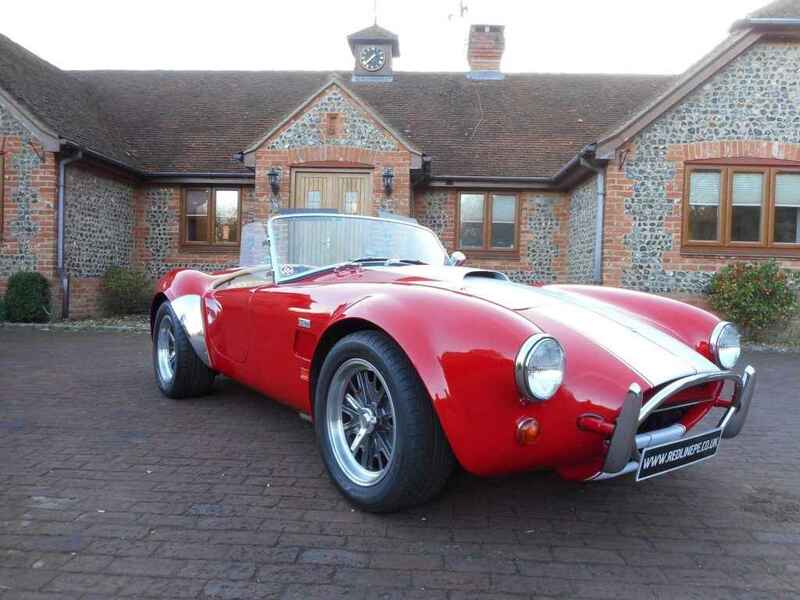 This stunning looking AC just looks fabulous, a real head turner, fantastic sound from the V8 engine.